"These firms are also the ones that are vigilant about the need to move from a ‘what is’ state to a ‘what could be’ state." AVON, Colo.--(BUSINESS WIRE)--Bernie Clark, leader of Schwab Advisor Services, asked independent advisors today: “Are we driving change or being driven by it?” and urged them to challenge themselves and resist the temptation to think “this is working just fine” given the extraordinary growth and success that the independent model has seen in the last decade. Speaking to a group of 170 independent advisor clients for the firm’s annual EXPLORE conference in Avon, Colorado, Clark encouraged attendees to elevate their thinking and consider what’s next for their firms and the industry. Clark also led a thought-provoking discussion with former Federal Reserve Chair Janet L. Yellen, and the event included keynote addresses from David Edelman, former special assistant to the President for Economic and Technology Policy on the topic of big data, AI and the Global Economy; Luke Williams, professor, NYU Stern School of Business on disruptive leadership; and, Ian Bremmer, founder, Eurasia group on geopolitics. As advisors stare down a volatile market environment, concern among clients is apparent. 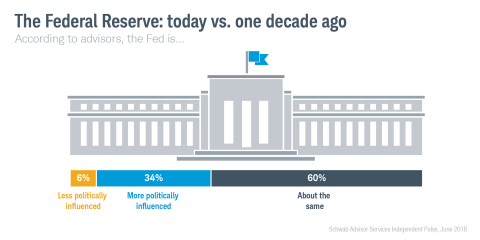 According to the Schwab Advisor Services Independent Pulse released today, close to two thirds (64%) of advisors report that their clients are concerned about ongoing market volatility and, with each market swing, almost half of advisors (46%) say clients become more concerned. More than 40% of advisors say it will be difficult to achieve their clients’ investment goals in this market environment, a sentiment not seen at this level since 2016. However, market gyrations are not changing the risk tolerance related to business bets advisors are willing to make. The majority say they are continuing unabated to make technology improvements, hire and develop talent, pursue M&A opportunities, and invest in marketing. “When you have seen success and watched every type of market condition play out over the years it can be easy to assume you have seen it all. But industries are disrupted, markets change, and we need to continue to get better and smarter. What got you where you are today is not sufficient to get you where you want to be tomorrow,” Clark said. At EXPLORE, Schwab unveiled its Guiding Principles for Advisory Firm Success, a new framework that helps advisors address the complexities of growing their firms. 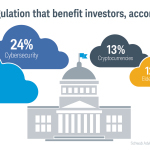 The principles are based on Schwab’s hands-on consulting experience and a decade of Schwab’s RIA Benchmarking data, which reveal factors that are actively demonstrated in successful firms across the industry. The Guiding Principles are foundational to all Business Consulting & Education programs, including advisor consulting engagements. As the EXPLORE conference got underway, a contingent of Schwab representatives and independent advisors simultaneously travelled to the nation’s capital for the Investment Adviser Association’s (IAA) 11th Annual Advocacy Day. The group met with lawmakers to highlight important issues that impact independent advisors and their clients, including the Securities & Exchange Commission’s proposed investment advice rule. 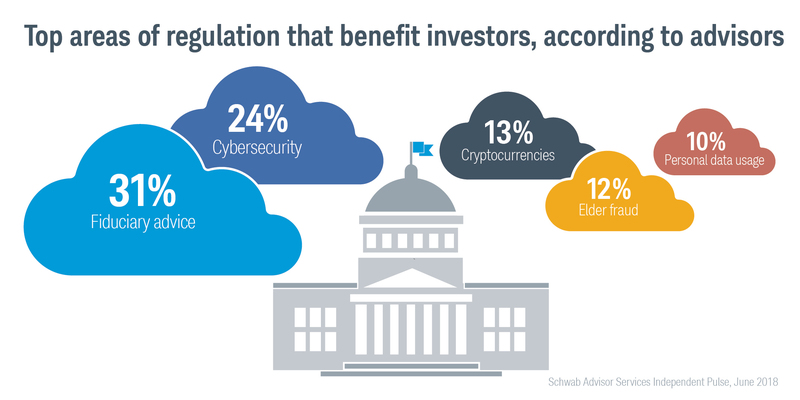 According to Schwab’s Independent Pulse, the top two areas where advisors believe regulation could benefit investors are fiduciary advice (31%) and cybersecurity (24%), followed by cryptocurrencies (13%), elder fraud (12%) and personal data usage (10%). 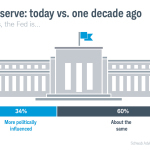 The Schwab Advisor Services Independent Pulse is an online poll conducted for Schwab Advisor Services by Koski Research. Koski Research is not affiliated with nor employed by Charles Schwab & Co., Inc. The study has a +/- 3.2 percentage point sampling error at the 95% confidence level. All data are self-reported by study participants and are not verified or validated. The study was conducted from April 26 to May 8, 2018. 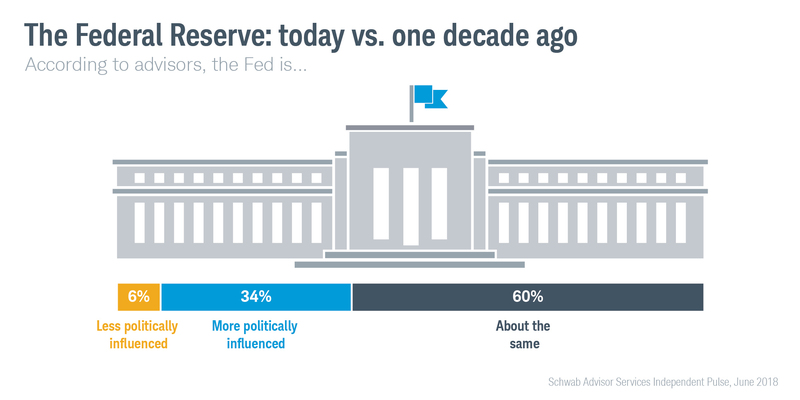 Schwab maintains an active presence in Washington, D.C., by studying policy issues and speaking out on behalf of independent advisors regularly. For more on the IAA Advocacy Day activities, visit @Schwab4RIAs on Twitter; to learn more about Schwab’s latest policy views and advocacy initiatives, visit advisorservices.schwab.com.